Now that is a rather attractive timepiece isn’t it? I’ll have to bring a couple in and see if I can sell them. Cartier’s Calibre 8630 automatic chronograph technology drives the hours, minutes, seconds and date of the Santos 100 chronograph functions. 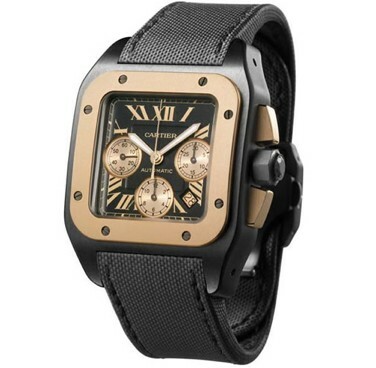 The Cartier Santos 100 Carbon chronograph is a truly beautiful yet unique luxury timepiece.